"Do I pronounce this place Bib-ury or Buy-bury", asked my clients - a Brazilian TV host and her crew. 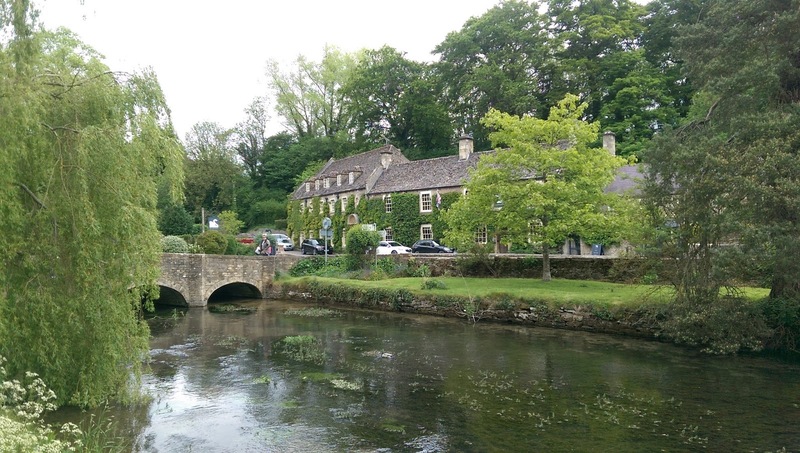 I absolutely love the Cotswolds area of the UK, truly stunning, so couldn't believe when we arrive in Bibury that this is my first time here. It is picture postcard beautiful, in fact if Disney ever wanted to open a stereotyped theme park of an English village they don't need to bother. It has been done Walt, it's called Bibury. The Coln River seems to bubble up from behind the Trout Farm, where you can catch, whack and cook your sport for a price. 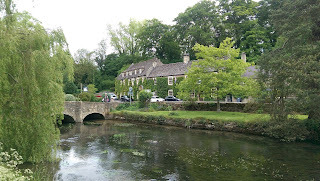 The river then ambles down under the bridge passing bending stone cottages with ducks and swans hitching a lift on its watery back. The locals where less welcoming than the view though; we had the terse lady who corrected our pronunciation (unfortunately it was after my guests had already done two 'takes to camera'), then some guy stomping past us sarcastically blurting out, "in England it is customary to say good morning back". We hadn't heard his first greeting and after a short exchange of views and my explanation of English eccentricity (I'm sure that's what I called him) we moved on. On top of that they tend to drive very quickly towards strangers in Bibury with a determined 'bloody tourists' look on their faces. When working around Heathrow airport I notice that many of the locals have 'NO 3rd RUNWAY' signs. This leads me to ask 'is there anyone living near Heathrow, or any of our major airports, that didn't know the airport was there when they bought the house?' Same goes for Bibury, I would view the property and then ask myself whether the constant throng of tourists would bother me....it would....so I wouldn't buy there. What I'm basically saying is you made your Laura Ashley bed, mate, so you lie in it. On that note and to take their point, try to be in Bibury as early as we did because by 11am it goes from sleepy village to city centre rush hour mayhem. Coach loads of Japanese photographers pile in to snap the scenery. They arrive in 50 seat coaches and for 20 scurrying minutes it is a Kodak bloodbath, they don't see the actual village until they get home and have picked up from Snappy Snaps. They then follow the umbrella back to the coach only to be replaced by another diesel pumping monstrosity as soon as a space appears. The inadequate roads block quickly and the already tight bridge becomes the focal point for angry motorists and reversing mini buses. Bibury lacks the commercialism of better advertised Cotswolds luminaries such as Broadway and Stow on the Wild so doesn't have endless crafty gift shops, art galleries and tea rooms which is refreshing and means coffee has to be taken in either the Trout Farm (fish delicious, coffee not) or one of the two hotels which is expensive (though the Swan Hotel garden alone is worth the money just to be able to sit back and re-caffeine while watching the carnage).